The is a 10 disc audio-book. About Julia Gibson (Narrator) : Julia Gibson is a published narrator of young adult books. 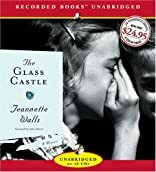 Some of the published credits of Julia Gibson include The Glass Castle: A Memoir, Glass Castle: A Memoir, Leap Day, and Someday. 9/4/2012 Layla Cox said: Got it from a friend and was very touching. 8/1/2010 Erin George said: One of the best memoirs I've ever read. 4/22/2008 Robert Bowes said: Can this book actually be autobiographical? 2/21/2008 Darla Kline said: This is the current book I am reading for an adult teacher book club. I look forward to the discussion next month.